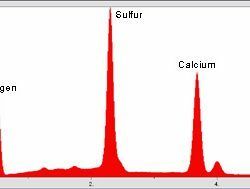 Energy Dispersive X-Ray Spectroscopy - Spectroscopy Analysis In Golden | Rocky Mountain Laboratories, Inc.
Energy Dispersive Spectroscopy (EDS Analysis) is used in conjunction with the Scanning Electron Microscope (SEM) providing chemical analysis in areas as small as 1 µm in diameter. EDS detects all elements except for H, He, Li, and Be. EDS can be performed exactly on any features or particles seen in the SEM images and can “MAP” elements on a surface. 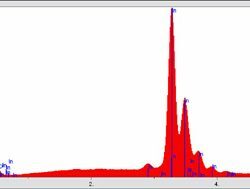 Unknown materials can be identified and quantitative analysis can be performed. 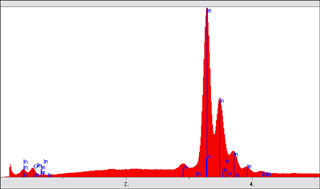 EDS, also called Energy Dispersive X-ray Spectroscopy (EDX), is a technique based on the collection and energy dispersion of X-rays created when high energy electrons bombard a sample. The EDS is attached to the Scanning Electron Microscope (SEM) and the two techniques are often used together. 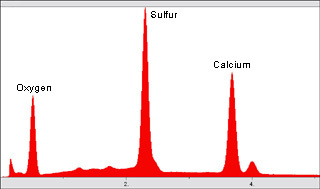 The X-rays have energies that are characteristic of the elements in the sample. The instrument’s electronics process the signals to give histograms of energy vs. signal strength, the latter being related to relative concentration. 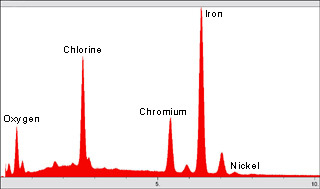 EDS Analysis can also provide elemental maps of the sample that can be compared to the electron micrographs. 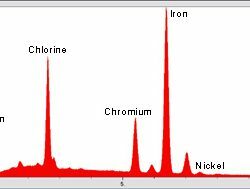 The method detects all elements from boron to uranium and is usually nondestructive. 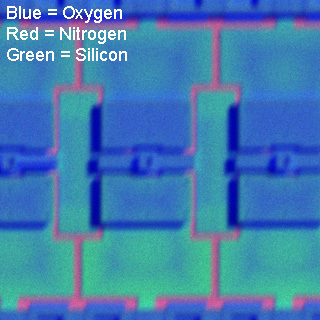 Detection limits range from 0.05-2% for high to low Z elements, respectively. 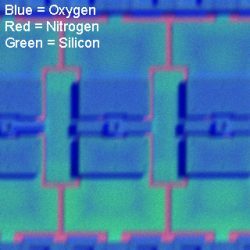 Features as small as 1 µm. EDS is particularly good for relating elemental composition to topographical features.